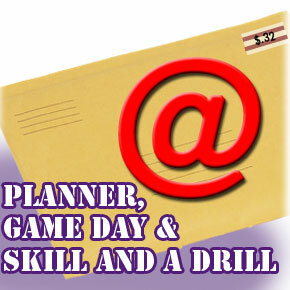 The Coaches Practice Planner, Game Day Coach and A Skill & A Drill Package. Delivered as email attachments, this is a significant resource for any coach, player or parent. Practice all the necessary baseball skills and use them on Game Day. Some email services, such as Hotmail and Yahoo will not accept files of this size. )Emailed within 24 hours. Your Acrobat reader should be 5.0 or higher. Now includes the Practice Planner Companion! Save $$ when you order this package. NOW! Order the license for all the coaches in your league; a significant savings.